I reckon driving a sports machine like Toyota MR2 Twin Cam (Super Charger) for sure would have been an ultimate driving experience through that lonely and quiet road. This car stopping and then moving again from the gravel lay-by would be a remarkable experience. The photograph attached is crisp and sharp in terms of clarity. The car has been looked after very well for its age. 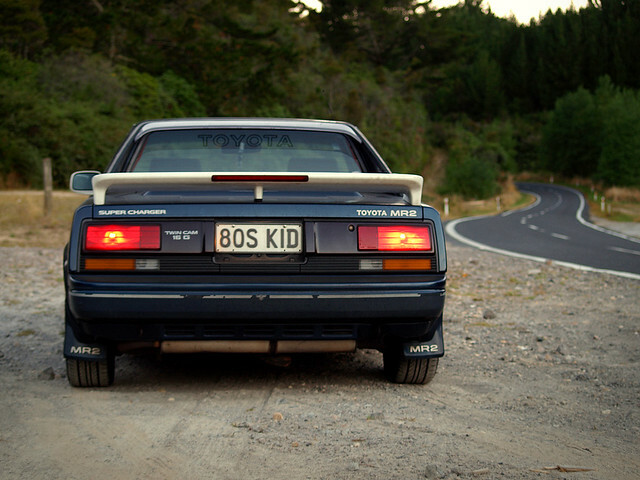 Toyota MR2 Twin Cam being a rear wheel drive would be more stable on long roads like these. The big tail lights and the small mud flaps with MR2 make this car more neat and exciting to drive. I am not 100% sure but I remember the transmission with the rear suspension was revised along with a T-bar roof somewhere around late 80’s. This car was never offered to the European and Australian markets but was imported privately. It’s an absolute stunner and would be a delightful experience to roll over on those quiet lonely roads.